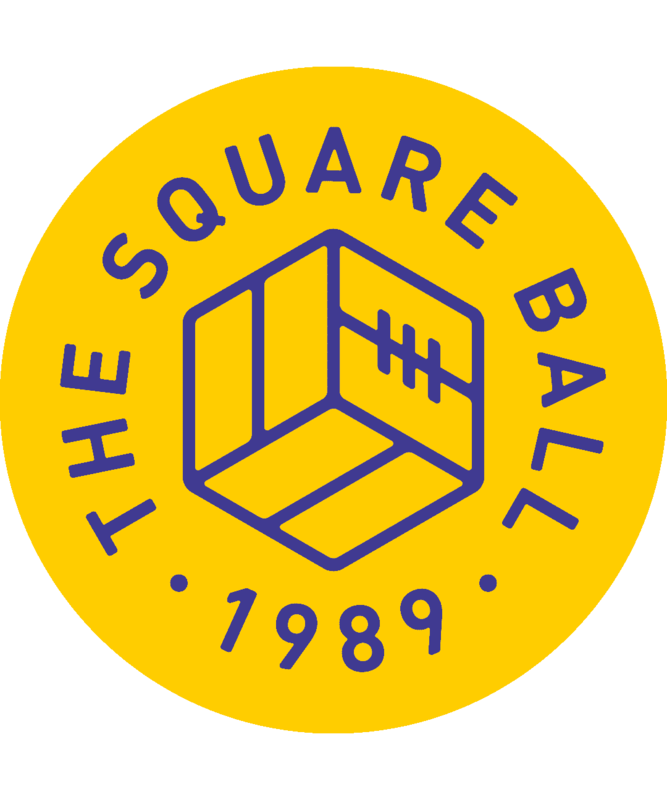 This month marked twenty years since Howard Wilkinson published his blueprint for English football, the FA Charter For Quality. This football season marks twenty-five years since Leeds United won the FA Youth Cup, while United manager Wilkinson was turning his attention to building a legacy for the club at Thorp Arch. 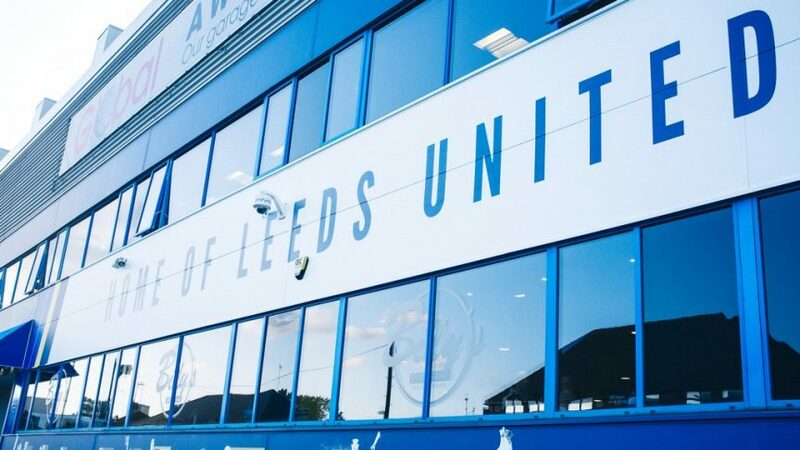 This week Leeds City Council announced that it is about to formally decide whether to enter into negotiations with the club’s owners about leaving the training ground and academy at Thorp Arch for a site in the city, near Elland Road. And last week United managing director Angus Kinnear and Academy manager Adam Underwood attended the Aspire Academy Global Summit in London, organised by Qatar-based Aspire’s director-general and Leeds United board member Ivan Bravo, where they could “exchange knowhow” and “awaken curiosity” about elite player development in the presence of “prestigious clubs” like Real Madrid and River Plate, to borrow from Bravo’s brief comments on LUTV. To many, Thorp Arch is a firmer tribute to Howard Wilkinson’s work at Leeds United than the First Division championship he delivered in 1992. Thorp Arch was, after all, intentional, whereas the title was almost a by-product of Wilkinson’s belief that you should win promotion from Division Two with players who will get you to the top of Division One. David Batty was gently mocked for sitting on Lee Chapman’s sofa on the day the title was won and telling ITV’s viewers it was “a nice bonus”, but he wasn’t far wrong. Wilkinson built a winning team in the Second Division because it was essential that Leeds were promoted before the next round of television negotiations resurrected 1988’s ‘Super League’ proposals, threatening to pull up the drawbridge and exclude any club outside the top few. And once the machine was in motion, it couldn’t stop winning until the league was won. Thorp Arch was an entirely different project, but one that was a crucial part of Wilkinson’s long afternoon of talk with Leslie Silver, as they interviewed each other about the vacant manager’s job at Leeds. The club had to be in Division One: that was point one. After that, it had to stay there, and make itself sustainable, through an academy that would keep first team costs manageable through lower starting salaries and reduced need for transfer spending, and provide a platform from which trophies could be won. It was a ten year plan, and it worked, as ten years and one month from that afternoon with Silver in October 1988, David O’Leary brought on teenager Alan Smith for his goalscoring debut at Anfield, into a team that had started with Jonathon Woodgate, Ian Harte and Harry Kewell; Paul Robinson was on the bench, and a new era was about to begin. That it was O’Leary in charge, not Wilkinson, was a cruel irony: if Wilko hadn’t raised expectations by winning the title, he might have ridden out the top five finishes, European football and a cup final through the mid-nineties, without people assuming he’d lost his title-winning touch. That has been appreciated more and more as time has gone on, since we saw just how good the legacy Wilkinson had left was — and how quickly it was burned out by greed and bad management. Leaving Thorp Arch behind feels as heretical as selling it was in the first place. But it has also felt inevitable, ever since Ken Bates failed to exercise the cheap buyback option in 2009, landing the club with increasing rent, an astronomical purchase price from an unwilling seller, and no simple way to add new facilities; indeed, due to the way the sale was handled, parts of the original facilities, such as the much lauded residential buildings for the young players, had already been lost. Leeds City Council had been willing in principle to help the club finance the buyback, agreeing the £6m deal with Thorp Arch’s owner, Jacob Adler. The deal collapsed, though, due to Ken Bates’ and chief executive Shaun Harvey’s inability to agree to the council’s conditions. In 2009, both Bates and Harvey were adamant that neither of them owned Leeds United, and neither of them knew who did. The council, with a duty to protect taxpayer’s money, couldn’t sign off on what was effectively a £6m loan to Anonymous of Unknown Street. There shouldn’t be any similar shenanigans this time around, and given the enthusiasm expressed in the council’s press release about Leeds United’s desire to move from LS23 to LS11, there shouldn’t be any obstacles at next week’s council executive board meeting, when the board will be asked to allow council officers to formally negotiate with the club. That’s not to say the move is a done deal. Local ward councillors have wanted the main site in question, vacant land where Matthew Murray High School once stood, to be used for housing ever since the school buildings were demolished. Building new homes as a continuation of the blunt ended terraced streets that adjoin the land would make perfect sense, and that’s something the planning process will investigate, along with traffic considerations, and the question of Ingram Road Primary School’s playing fields, which would become part of the club’s grounds. But building a centre of sporting excellence in residential Holbeck, linked to club and community facilities just over the roundabout on the car park next to Elland Road, absolutely fits with the council’s promotion of the city’s future south of the river. On the agenda of the same meeting, the main decision making board for the whole city, are a new lease enabling Hunslet Rugby League to stay at John Charles Centre For Sport for the next twenty-five years; a report on the South Bank Regeneration Plan, covering an area stretching from Hunslet to Holbeck and promising to connect both to the city centre via enormous new building projects and a central park; a separate report on how a High Speed Rail station will be bolted on to the south side of the existing station, upgrading both and rebuilding their surroundings to form “a key national landmark”; and approval of the city’s bid to become European Capital of Culture in 2023, which among many city-wide interventions and events proposes a permanent lighthouse in the new South Bank central park, as a beacon for the city, an event space, and a tribute to industrial titan of south Leeds, John Smeaton. Rumbling around the planning process, meanwhile, are plans for skyscrapers at the city edge of Holbeck, and the cumulative sensation of all this is that Holbeck and Beeston’s problems with unemployment and prostitution could be about to disappear in a cloud of, as yet, imaginary money. In reality those problems, if solved in south Leeds, would probably move elsewhere, but improving one place is better than improving none. In Leeds United’s case, the money ought not to be imaginary. The club say they want their new training facilities open by 2020, which for a project of this scale is soon. The plan has certain advantages in terms of time and money: both the Matthew Murray and Fullerton Park sites are council-owned, making a deal between the club and a supportive council a relative breeze compared to a mess of private ownerships. But equally, there are risks: those school playing fields may be small, but arguments about a similar situation kept bulldozers away from the old Leeds Girls’ High School playing fields in Hyde Park for almost a decade. None of that has prevented amateur urban planners looking at the training campus Manchester City have built around their stadium in East Manchester, and dreaming, of secondary stadiums and pedestrian bridges, manicured pitches and bustling indoor facilities. Sheikh Mansour’s investment in infrastructure can be easily viewed on Google Maps, or when Manchester City Women are on television, and from any angle it’s dazzling, the leading edge of what a football training campus can be, easily brought to mind when its surrounding housing estates and industry are compared with United’s proposed site in the heart of Leeds. More than £200m has been spent on Manchester City’s facilities, money found through Sheikh Mansour and sponsorship from Etihad Airways, but such avenues of funding are not closed off to Leeds United. The relationship with Aspire Academy in Qatar is opaque, hinging on our board member, Ivan Bravo, being in charge of the Aspire project. He’s based in Doha and focused on Aspire, understandably, given its goal of raising the profile of elite sport in Qatar and giving the state a team that can compete when it hosts the World Cup four years from now. But the links to Leeds are not idle; as well as inviting Angus Kinnear and Adam Underwood to hobnob with corporate sport’s elite, our summer signing Ouasim Bouy immediately departed on loan to Cultural Leonesa, the Spanish club Aspire bought in 2015, that recently won promotion to the Segunda Liga, adding to KAS Eupen, the Belgian club Aspire has owned since 2012. Independiente del Valle in Ecuador and Indian Super League side Delhi Dynamos also have ‘technical partnerships’ with Aspire, the latter gaining Ivan Bravo’s friend Miguel Angel Portugal as their head coach. How far Leeds United are formally involved in this network, in which everything is geared towards giving Qatar a team that will impress the world in 2022, isn’t clear, but it would be the natural place for United to turn for technical advice. Aspire Academy’s site in Doha is even larger than Manchester City’s. At it’s centre is the Khalifa International Stadium, with a capacity of 48,000; and the Aspire Dome, apparently the world’s largest indoor multi-purpose dome, which can host thirteen different sporting events at the same time, including a full-sized football match in front of nearly 6,000 people. Leeds United’s site at Matthew Murray would just about fit inside that dome, which is one of the hindrances to any desire to build an elite training facility in Holbeck. Across the two empty sites on its doorstep, I reckon United have room for roughly eight full size pitches, plus a building, although the the shape and contours of the sites make layouts look awkward. The club must have worked out how to build for its immediate needs on the land available before getting so far down the line with the council, but what we see in 2020 will be some way short of the campuses being delivered at the top of the game. The short deadline and smallish, awkward spaces might, in that case, represent a first step towards more utopian visions. Matthew Murray may be tight and basic, but the land on the other side of the A643, around Brown Lane West and Lowfields Road all the way up to Geldard Road, is enormous — enough to replicate Barcelona’s Ciutat Esportiva Joan Gamper twice, with room left over — but occupied, by a mixture of large and small light industrial businesses, who have no reason to leave, or to take the employment they offer away from the local population. That’s the sort of situation that can change once Champions League economics meet a city centre expanding southwards, though — sometime around 2030, or the twelfth of never. But the possibility is there. Beyond architecture, Aspire’s contribution to youth development is less impressive, and is closer to the model that led Howard Wilkinson to call this week for a full review and update of the blueprint he wrote twenty years ago for England. Desperate to establish Qatar’s prestige, Aspire has operated since 2004, ‘screening’ more than 3.5 million young players in its first ten years, mostly in Africa, selecting the best for its Aspire Dreams programme at its academies in Doha and Senegal. In its 2014 article, the New York Times reported seventy boys were living at the Senegal centre, some as young as thirteen hoping Aspire would make their dreams of a professional career in Europe — via Doha and Belgium — come true. That led to speculation that Qatar intended to naturalise the best of those African players to form its national team for the World Cup; the squads attempting qualification for this summer’s World Cup have included players from Brazil, Uruguay, France and Guinea. The national team has increasingly been using Qatari born players, though, and the Qatari authorities have always insisted that the African-born players were brought to Doha to give the local kids some quality opposition to learn against, and from. But then what? Of the hundreds of boys taken on by Aspire, only a handful have made it all the way to Europe. The rest, while undoubtedly well treated at the Academy, have nonetheless been drafted across thousands of miles on the promise of a dream, only to be used as the grindstones against which Qatari boys dreams are being advanced — then sent back again, dreams unfulfilled. The ethics of this process have repeatedly been called into question; and further, some calling it “exploitative” and “human trafficking, with the sole intention of providing Qatar with footballers for their future national team,” according to a 2007 report in The Observer. That report went on to clarify that the process is “not much different to the way a club, rather than a country, usually operates” — which is the crux of Howard Wilkinson’s complaints this week. Aspire can be compared to a sort of hyped up, trans-continental Chelsea — a factory farm for young kids lured into the system by dreams of one day wearing a Chelsea shirt, who spend years out on loan in the lower leagues or at foreign clubs, never getting the Premier League opportunity they’re promised. And those are the lucky ones: Wilkinson was speaking in sympathy with a new report on the adverse impacts on mental health suffered by kids, taken in by elite academies aged eight, spat out again without a career aged eighteen. English clubs are failing in their “moral responsibility,” Wilkinson told The Guardian this week. “These are young people and many are not getting what they have been promised and a number naturally feel genuinely let down,” he said. “They are adolescents, some can and do become depressed. There clearly isn’t the commitment to playing the players. The fault just isn’t taking too many boys in; it’s clubs not really committing to giving them the opportunity. Wilkinson is likely to be right here, because he has been talking sensibly about youth football for a very long time. In 1992, Wilkinson wasn’t only manager of the champions of England, but had been a key part of The FA’s England setup for ten years, combining his club roles with coaching England youth, U21s and B teams, and travelling the world on scouting and research missions to help the national game. As you might expect, he’d done a lot of thinking, and his 1992 book Managing To Succeed includes a chapter tackling problems at all levels of the English game, player development included. While some things have stayed the same, it’s interesting to see how much of what Wilkinson was proposing has come about — to a significant degree, thanks to his influence. One of his key points was that youth player development had to be separated from first team football, so that if the first team manager got sacked, the youth team carried on unhindered. He wanted a culture of excellent youth coaching as an end in itself, not as a career stepping stone to ‘better’ jobs, and for player development to be recognised as an important entity in and of itself. Thorp Arch was his expression of that: its head, Paul Hart, didn’t report to Wilkinson, but directly to the board: in the structure of Leeds United Football Club, Hart and Wilkinson were equals. He obviously didn’t anticipate, in the pre-Premier League era, a situation whereby even the most talented young players in the country couldn’t get a game in its top division, with the trickle-on effect that very talented players who could have got chances further down the pyramid now topple from the bottom of its furthest slopes in search of a game. Fortunately, at Leeds United, opportunity has been part of the culture at the club since before Wilko’s revolution formalised it, and watching The Football League Show any given weekend, United’s academy players seem to have a happy knack of finding employment even if not with Leeds. ‘Former Leeds trainee’ is almost as common in the Football League as ‘On loan from Chelsea’ in the Eredivisie. If we’re to have one, and reject the route taken by Brentford and Huddersfield away from developing school-age players, it’s important that any transformation of Leeds United’s academy, to anywhere near the levels of Manchester City or Aspire, doesn’t break the link between youth player and professional player that has brought us — and Norwich, Bournemouth, West Ham, Burnley and so on — so many benefits. We have to repair the link in the other direction too, though. Given Wilkinson wanted to attract as many kids as possible to play, I wonder if he would reconsider the location of Thorp Arch with the benefit of hindsight. Although it is by no means unusual for a football training ground to resemble a bucolic countryside retreat, Thorp Arch is significantly difficult to get to. A kid in inner city Leeds, whose harassed parents either have no time, no transport, or neither, is cut off from the local football club; arguably, cheap train and tram tickets could take him or her to the Etihad Campus from Leeds city centre more easily. That seems to be the route a lot of talented young players from Leeds have taken; whether via train or M62, Manchester City scouts have had a fruitful time in parts of Leeds from where United ought to be drawing its talent. Then, Micah Richards apart, they’ve neglected to give them a chance in the City first team. The Matthew Murray site gives Leeds United the chance to solve that problem, to its own benefit. Being located “in the heart of the community” sounds like a buzz phrase, and it is, but treated sincerely, it’s a powerful new tool for the club. Buses in Leeds aren’t great, but enough of them pass within fifteen minutes walk of Brown Lane East to make the new grounds easy to reach by almost anyone. Growing up dreaming of playing for the football club at the end of the street, and then growing up and having that dream come true, sounds like something out of a 1950s comic book. But why shouldn’t it turn out, for a kid on Tilbury Row, to be true? If the facilities developed as part of Elland Road 2020 fall short of a full Etihad/Doha mega-campus combined, fear not. In fact, take heart. It’s the location that’s significant, not a structural record breaking dome. Good pitches and excellent coaches are what the Matthew Murray site has to provide, so that talented kids can go there and learn to play better. After that, and still ahead of any sweeping bridges, comes culture. Leeds United don’t have to rewrite the rule book when it comes to player development. Ivan Bravo might have a lot of technical info to share from the Aspire Academy, but I would argue there’s a lot he could learn from the way things have been done at Thorp Arch over the last twenty-five years. As Howard Wilkinson has pointed out, player development in England is broken at a critical point, but the leading academies — either club level or state sponsored — are insistent on replicating the same model, critical broken point included. I’m optimistic that Andrea Radrizzani and his board are opting to move Leeds United’s academy, rather than close it — which, given the costs involved, must have been considered. But if they’re going to go to the trouble of bringing it into Leeds, it has to become a good neighbour, not just another gleaming factory of broken dreams.